with Spencer Samuels, New York, from whom purchased in December 1991 by Mr. Brewster. The first château at Rosny was the domain of Raoul de Mauvoisin in about 1080. The later ownership of the property was distinguished, and included the Duc de Sully, primary advisor to Henri IV, as well as the Comte de Sénozan and the Archambauld de Talleyrand-Périgord family. It was purchased in 1818 by the Duchesse de Berry, during whose ownership the present work was painted (see lot 40 in this sale for a note about the Duchesse de Berry's collection). 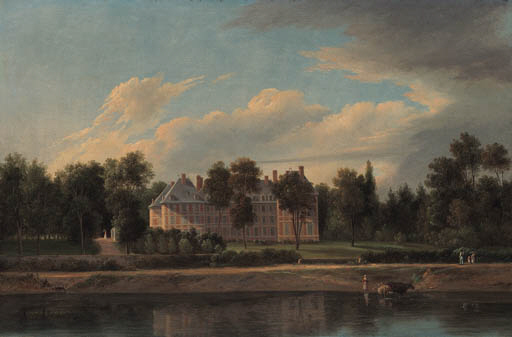 Corot painted the Château in 1840 (Musée du Louvre, Paris, Inv. no R.F. 2602; fig. 1).